The College Board made a big media splash earlier this week when they announced details behind the new SAT, which they plan to introduce in April of 2016. While the changes had been imminent for quite some time, few details had been shared publicly prior to this week. “The redesigned SAT will first be given in spring 2016. “The SAT will be offered in print and, at selected locations, on computer. “There will be three sections: Evidence-Based Reading and Writing, Math, and the (optional) Essay. “The length of the SAT will be about three hours, with an added 50 minutes for the essay. Precise timing will be finalized after further research. The new test is intended to be more inline with what students are doing in the classroom. In fact, it addresses some common concerns with the current version of the SAT with respect to its relevance to real-life scenarios. For example, essay questions will be grounded in real-world context and require deeper analysis, while reading passages will include founding documents, such as the Bill of Rights. 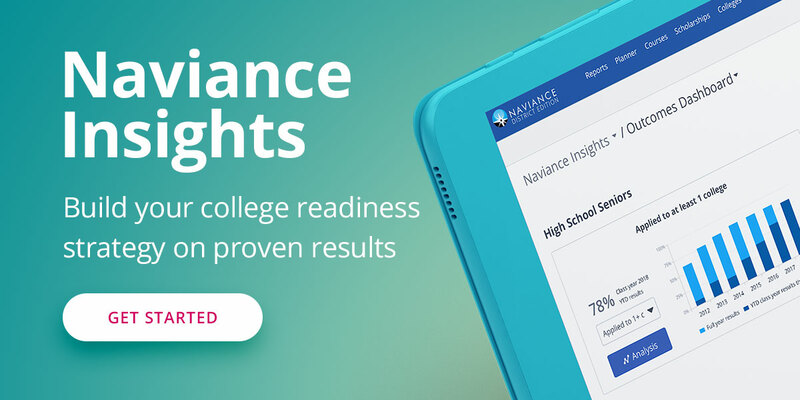 Related to the new test, the College Board also announced a new partnership with Khan Academy to deliver test preparation – for free – to any student around the world. This partnership represents a tremendous opportunity to provide equitable access to test prep for students in need. What does this mean for test prep solutions that are used in schools today? There’s no shortage of free test prep solutions on the market, but the new SAT will mean test prep providers that work directly with schools will have to adapt as well. Many schools are still responsible for ensuring their students are positioned to maximize their potential on tests like the ACT and SAT, so free “set it and forget it” solutions may not offer the level of insight they need to help students. Frankly, these changes raise the bar for test prep providers (Hobsons included) in terms of the value they’ll need to deliver to students and the programs they offer to schools and districts. It can no longer be about tips and tricks, but about delivering actual instruction. How will they deliver test prep programs that allow teachers to individualize instruction for students based on their unique needs? How will teachers get real-time feedback on student performance and manage classroom activity? How can school administrators easily access reporting on the progress of their test preparation efforts and be able to determine if students are taking advantage of the test prep solutions available to them? How will they deliver robust, yet scalable solutions that meet their reporting needs without adding significant cost or sacrifice access and equity for students in need? How will schools ensure that teachers and counselors receive the proper training and support to effectively deliver a test prep solution in the classroom? How will those programs be incorporated in to more holistic college and career readiness plans? With the new SAT and the new partnership with Khan Academy, the College Board is making great strides in addressing common concerns over equity and access. We’re excited about the prospect of having college entrance assessments that are reflective of what students are doing in the classroom. We believe fundamentally in making sure that students have access to the resources they need to succeed, while still empowering educators to make informed decisions about student performance.